The right lighting can transform an everyday shot into an extraordinary memory. Even if your camera has a pop-up flash, an external Speedlight provides capabilities and control that every shooter can appreciate—so much more than simply illuminating a dimly lit scene. 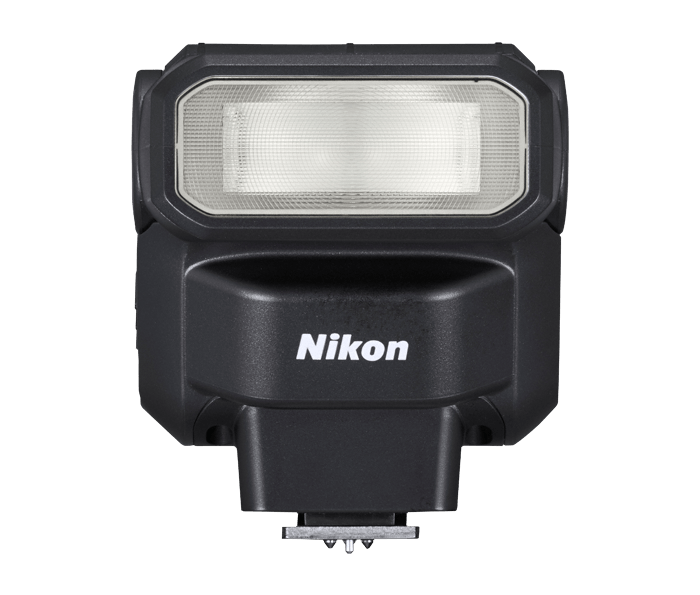 The compact, lightweight SB-300 AF Speedlight makes it easier than ever to harness the power of a Nikon Speedlight. With its simple operation, excellent performance and approachable price tag, the SB-300 AF Speedlight belongs in the camera bag of every D-SLR or accessory-shoe equipped COOLPIX owner. Take control of the lighting around you. With the SB-300 AF Speedlight, you’ll enjoy a flash that’s soft and balanced for excellent color, skin tones and lighting throughout your entire composition—not just on your main subject. Use it in bright situations to fill in unwanted shadows (fill-flash), or use its 120° tilt capability to bounce your flash off the ceiling or a nearby wall for even softer, less direct lighting on your subject (bounce technique). Nikon’s i-TTL (intelligent Through-The-Lens) flash coverage technology tailors the characteristic of the flash to the shot. An imperceptible pre-flash fires milliseconds before the main flash to gather information about the scene—shadow areas, subject distance and reflectance. Your i-TTL capable camera and the SB-300 AF Speedlight then work together to achieve the best exposure and white balance setting possible, all in a fraction of a second.